All these Date and Job Total checks are annoying me. How can I turn them off? You can turn off all Date Checks by selecting "User Settings > Confirmations > No Check". 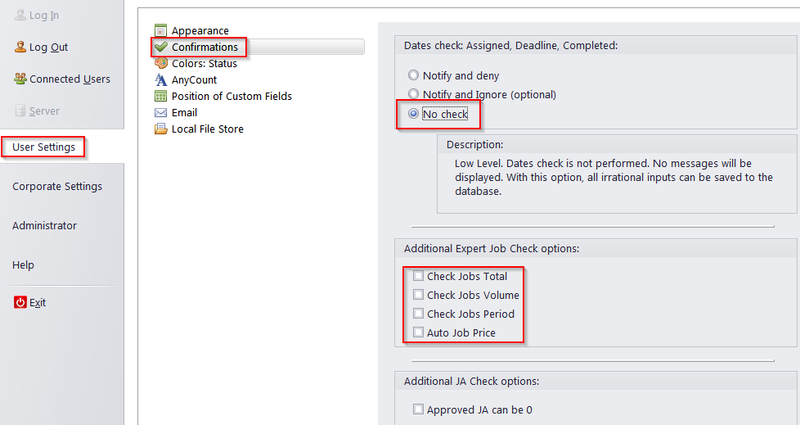 To turn the Job Total checks off, uncheck the required checkboxes in the same window.